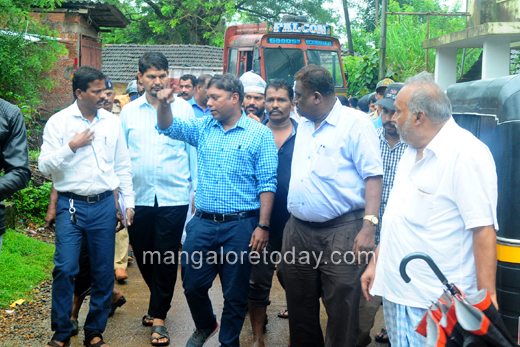 Bantwal, Aug 14, 2018: Deputy Commissioner Sasikanth Senthil visited the flood affected areas of Bantwal taluk on August 14, Tuesday. 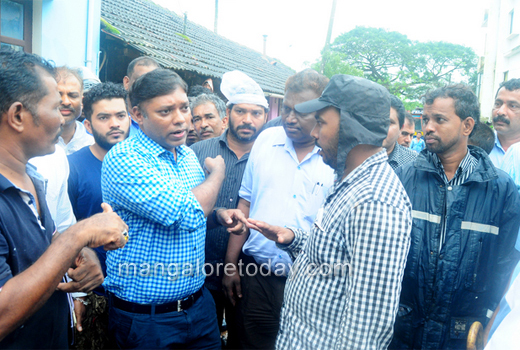 He reassured the people that the district administration would lend a helping hand and make alternate arrangements for the affected people. 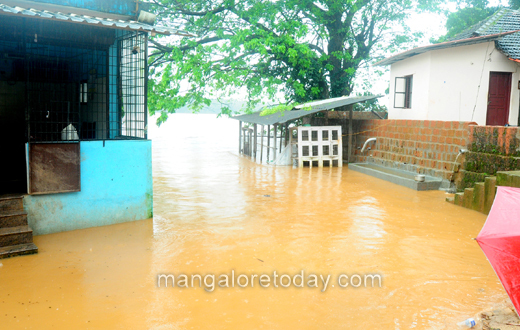 The DC instructed officials to open a Ganji Kendra at the Sharada School at Panemangaluru for the flood hit people. 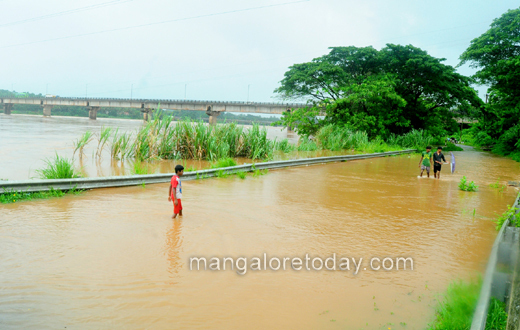 The DC noted that people living in low lying areas at Panemangaluru, Aladka, Nandavara, Sajipamunnur and other places are hit hard and directed officials to initiate precautionary measures. 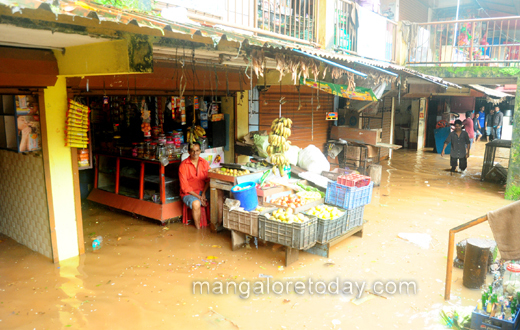 Bantwal Tahsildar Purandar Hegde, Chief Officer Rekha J Shetty and other officials were present. Appreciate DC’s move. He is showing his concern towards the people may god bless him and his family.